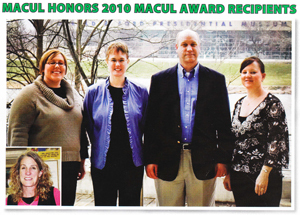 This award included a Nomination to 2010 ISTE Outstanding Leader Award. Berrien RESA's videoconferencing program was nominated for this award by Polycom. Exemplary Online Course chosen Winter 2000 as part of a study sponsored by WebCT.